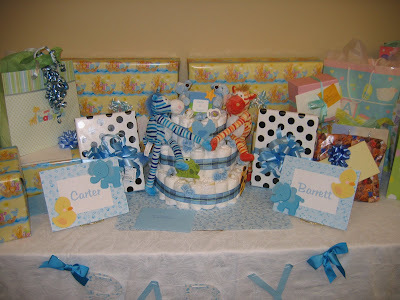 We had our very first Baby Shower in Matt's hometown. We were so thrilled to see so many people that we don't get to see very often. Carter and Barrett would especially like to thank everyone for all their hard work, gifts, and yummy food. We appreciated and loved every minute of it!